Trading threats - raising tensions. on Friday the 16th of March. with action of their own? its $140 billion deal for Qualcomm. with our Business Editor Simon Jack. journeys to work you have. 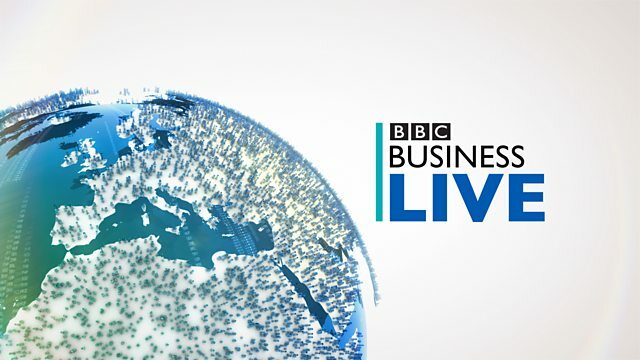 Just use the hashtag BBCBizLive. Hello and welcome to Business Live. trade surplus with the US. an estimated $7 billion a year. That's what he reckons, anyway. but it's all coming to a head. pulls back and see what happens. it with Japan several months ago. US and under saving, essentially. him than just making a noise. and the Irish Republic after Brexit. and goods across the border. from the likes of Amazon and Apple. has yet to make a profit. in 2018 as previously announced. to levels not seen since 2015.
outlining it's plan for the future. there shouldn't be any concerns. in the market as well. of the latest Galaxy smartphones. We can look at the Asian markets. we have the Dow Jones up about 0.5%. will do when it meets next week. weather here in the north-east. activity will also be released. to be growing at a healthy pace. Bank of New York Mellon. about the three main ones. this has been the Japanese yen. fending off concerns from the US. it has weakened over the last year. It's getting on 15% or something. from Simon Jack, business editor. and chairman of JD Wetherspoon. market. Give us your secret. going great guns at the moment. putting upward pressure on wages. pint or per meal than supermarkets. might be relieved, or maybe not! part to President Trump of course. is the approach of the US. come and made their home in the UK. Have we been dancing with the Devil? series about the Future of Work. here so how does it work? been dreaming about for a long time. vastly different in the future. things get hot in the states? events, they were dollar negative. himself a body hacking scientist. He wouldn't have a I doubt.